No luau would be complete without some aquatic life decorating the landscape. 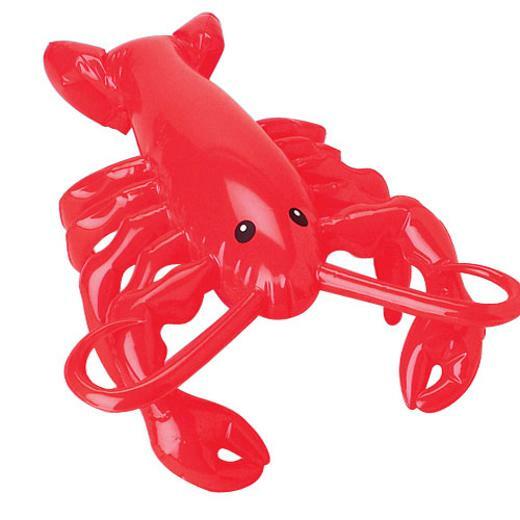 This lobster inflate is the ideal decoration for any luau or beach scene. A beautiful shade of red, your guests will love this guy and the way he stands out amongst the scenery. Throw him in the pool for some added fun. L: 8.0 in. W: 1.35 in. H: 9.25 in.